With deep sorrow it is intimated that Com.Sisir Bhattacharjee, veteran and senior most leader of the P and T movement passed away today evening at 18.25 hours at a Kolkota Hospital. He was 98. Com. Sisirda, as he was respectfully called has started his job in the P & T Work Shop ( later termed as Telecom Factory) and was the unquestioned leader of the Industrial and non Industrial workers for decades. He was the leader along with Com.K.G.Bose, who through great struggle achieved Festival Advance for the CG employees. Com. Sisirda was was the first Patron of BSNL Employees Union elected in its foundation Conference at Visakhapatnam in March 2001. The TF workers consider him as their saviour. Sisirda was admitted to the hospital a few days back and his condition was critical. All our comrades of Kolkata, W.Bengal and Telecom Factory were by his side all these and informed us his condition. Com.Sisirda is no more. The cremation will take place tomorrow. His wife, who was also a P and T employee and union leader passed away last year. My heart felt condolences to the bereaved family, friends and comrades. I used to meet him every time I went to Kolkata and he will not be there next time to meet and get guidance. Red Salute to Com. Sisirda! Red Fort being handed over to Dalmia Limited? It is reported that MOU has been signed by Central Government and Dalmia Limited for handing over the heritage Red Fort to the latter for 5 years for RS. 25 crores or so. It means that not only the valuable PUSs, but even priceless Heritage Buildings like Red Fort is being sold. It is to be noted that, it is on the ramparts of the Red Fort that Prime Minister hoist the National Flag on Independence Day. Now will the PM hoist the flag on Dalmia’s Fort? Can’t the people of the country protest and stop this loot and destroyal? New Delhi, April 27 : The Polit Bureau has issued the following statement: The Polit Bureau of the Communist Party of India (Marxist) strongly condemns the astronomical rise in the prices of petrol and diesel in the country. The sharp increase in the retail price of petrol and diesel is having a backbreaking impact on the ordinary people of this country. The price of the petroleum products have the obvious cascading effect on the essential commodity prices which the common man uses for daily life. The PB firmly expresses that this unusual rise which makes retail prices of petroleum products in India, the highest in South Asia is principally on account of the tremendous hike in mopping up revenues by the central government, through excise duties. The Polit Bureau demands that the central government should immediately roll back the duty to provide some relief to the people who are coming under tremendous burden. 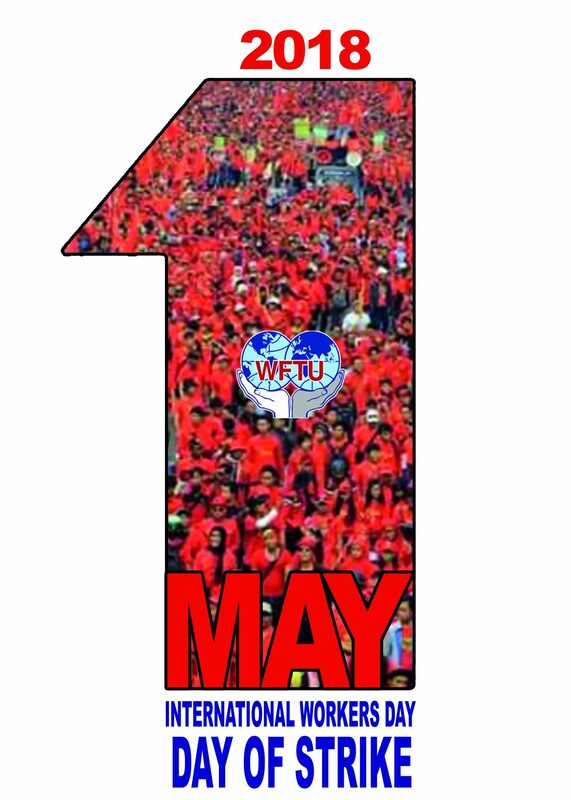 The Polit Bureau has called upon all its units to observe 8th May as an all India Protest Day demanding the immediate rollback of duty hikes. This is particularly necessary after the central government willingly allows lakhs of crores of rupees as tax waivers to top corporates of the country. The PB appeals to all other democratic and pro-people forces to also join in this action to force a roll back of excise duties. Kolkata,April 24th – About two persons according to unconfirmed reports has died , as the Ruling party in West Bengal once again unleashed wide spread violence with the help of Police force, to stop all opposition party’s candidates from submitting nomination whose extended date , following the earlier spate of violence , was fixed today. More than 200 Opposition activists including aspiring poll contestants , were attacked and beaten up by the Ruling party Hooligans and Police ‘s joint operation to make the West Bengals’ Panchayets ‘Opposition Free’. Even women journalists were attacked, manhandled and molested. Is the government moving for sale of MTNL ? Defeat it with all our might! The financial sharks and corporates are pushing the government for sale of MTNL. Arguments in favour of the same are given wide publicity. Such a report from the Financial Express is given below. Unless there is strong opposition and fight, the government may move in that direction. Eternal vigilance is required. Hearty Congratulations to Comrades Neelotpal Basu and Tapan Sen! My Hearty Congratulations to both Com. Neelotpal Basu and Com. 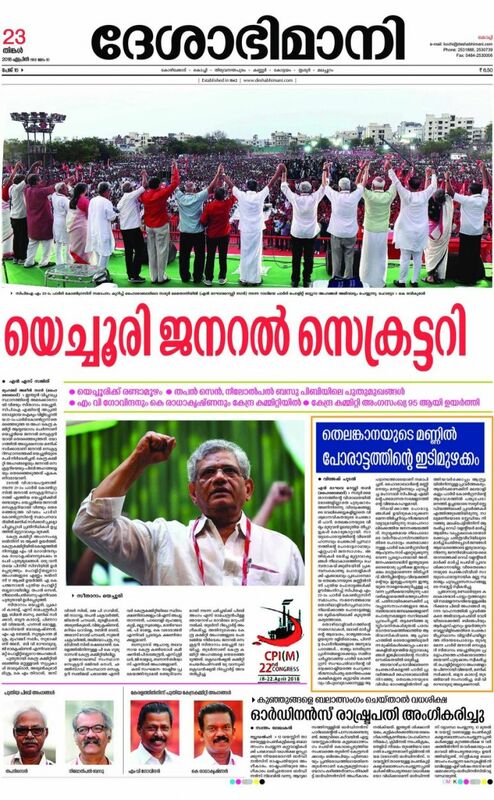 Tapan Sen for their election to the Polit Bureau of the CPI(M), in the Party Congress held at Hyderabad from 18th to 22nd April 2018. Both are closely connected with the P and T TU movement and have given great contribution to its growth and strength. Com. Neelotpal Basu is the son-in-law of Com. Moni Bose, the veteran leader and first Patron of BSNL Employees Union. Com. 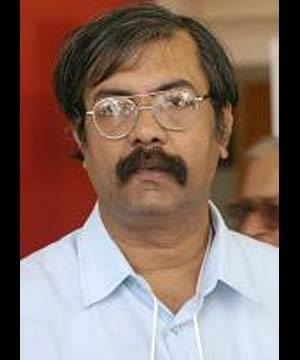 Basu has been in the movement from his student days and was the General Secretary of the SFI. As a two term member of the Rajya Sabha from W.Bengal, his performance in the Parliament was well appreciated and praised. Many issues of the P and T and Central Government employees were raised in the Parliament by him. He stays at V.P.House Delhi for the last many years since his election to the Rajya Sabha and then to the Central Committee of CPI(M). An excellent writer and speaker, he has written many articles and books. He is an avid reader also. During the period 1991 -1994, when Com. Moni Bose was the General Secretary and myself the President of E.III (Union), almost every day we used to go to ‘Neelu’s quarters in V.P.House and sit there for some time, have cup of coffee / tiffin. Now also I usually go to his flat and meet the family. Last month also, When I visited Delhi I went there and met them. Com. 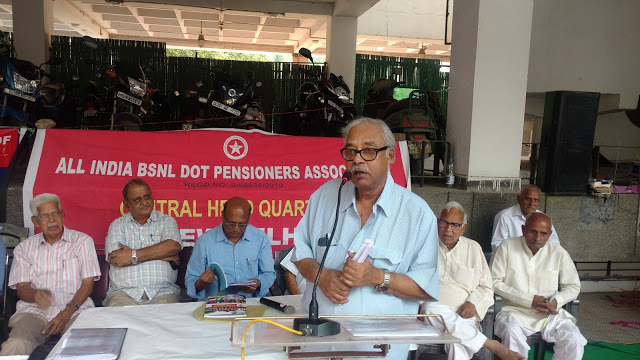 Tapan Sen as Secretary and then as General Secretary of CITU has always been in close contact with BSNL Employees Union and Confederation of Central Government Employees and Workers. He has attended umpteen meetings of the unions. Since BSNLEU became a part of the Central Public Sector Trade Unions (CPSTU), he was in constant touch with the union. While as M.P., he has raised many issues of the workers in the Parliament. BSNLCCWF is in much debt to him for guiding and assisting the union to move in the correct direction. My Hearty Congratulations to both leaders in their new assignment! I am sure that as in the past, they will contribute much to strengthen the party and guide the workers.